Last summer, as Jordan Spieth turned his attention toward preparation for the Open Championship, the third leg of his Grand Slam pursuit, his approach raised a few eyebrows. Though Spieth had played St. Andrews’ Old Course only once — in 2011 prior to the Walker Cup as an amateur — he chose not to travel early to Scotland for a few additional practice rounds. He opted instead to honor an earlier commitment to play the John Deere Classic, a tournament that gave him an exemption as an amateur and he earned his first PGA Tour victory. Plus, Spieth had boned up on his Old Course knowledge by using the Full Swing Golf simulator in his Dallas home. He dialed in firm fairways and greens for his practice sessions. “The course was a lot easier with 68 degrees and no breeze coming out of the air conditioner in that room,” Spieth later joked. In seriousness, though, the use of a simulator better acclimated him to the various lines the venerable course offered. “Obviously it’s not the same as being there,” he said. True, but simulating the conditions obviously did not hinder Spieth as many might have expected. He tied for fourth, missing out on a three-way playoff won by Zach Johnson, by a stroke. At the annual PGA Merchandise Show in late January, new technology was not only limited to equipment and apparel. 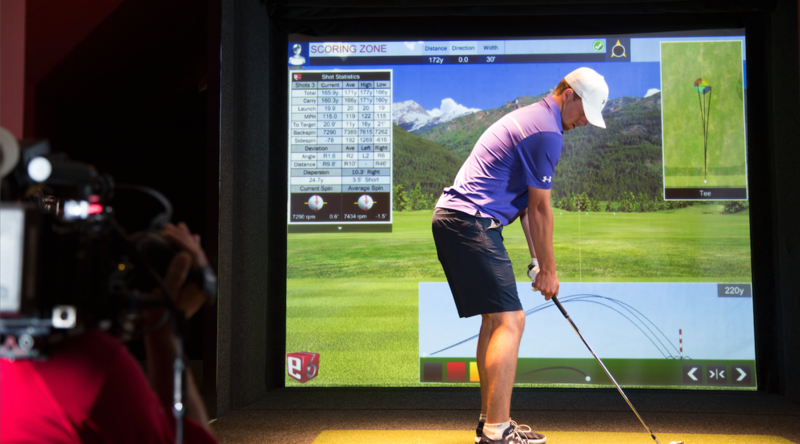 A growing trend in the golf industry is the growth of simulators, along with shot-tracking and data analysis systems. Once only seen in instructional and retail settings, simulators are becoming more commonplace in residential, hospitality and commercial venues. The evolution of simulators in the past decade is akin to advancements made from Atari to PlayStation 4 gaming systems. That Spieth, along with the likes of Tiger Woods, Bill Haas and Hunter Mahan, would trust a home-installed simulator to help replicate course conditions and situations speaks to the system’s realism. In addition to receiving visual feedback on shot lines, Spieth was able to factor in wind speeds and direction. In the coming months, Full Swing Golf will integrate its Virtual Fairway technology into its simulators, allowing a golfer to experience side-hill lies and uphill shots thanks to an adjustable floor and changing surface. 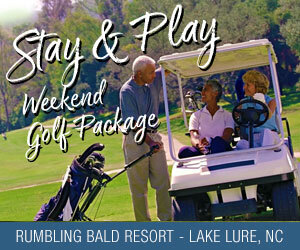 Full Swing Golf is not alone in the marketplace. TrackMan Golf — which boasts Rory McIlroy and Ian Poulter as spokesmen — OptiShot Golf, High Definition Golf and AboutGolf are also in the fray. Each manufacturer has its own nuanced technology, but at their core ball-tracking data feeds software such information as ball speed, launch angle and direction that aids in replicating accurate ball flight. Also, high-speed camera systems measure ball spin characteristics and club head data points such as speed, path and face angle. By the time the virtual ball has come to rest on the screen, a golfer has not only hit a shot at such iconic venues as the Old Course or Pebble Beach or Harbour Town, but also has a bevy of shot-tracking information that can be used to aid in game improvement. The advantages to using a simulator are many. A simulator can decrease the time of playing a round in about half and can provide real-time statistical feedback for immediate self-correction. A simulator is not for every golfer, though. One of the biggest hurdles, beyond cost — a TrackMan simulator “starts” at $49,995 — is the amount of space needed. Most simulators can be configured to fit a sizable man cave or spare room in a garage. Some of the smallest configurations are 11 ½ feet wide by 8 ½ feet tall by 17 ½ long. By comparison, one of Full Swing Golf’s largest models, the Widescreen Champion, requires 17 feet in width, 10 feet in height and 22 feet in length —more than twice the smallest dimensions. Even if budget or space is an issue, all is not lost. Foresights Sports is in the business of launch monitors that can double as simulators, at a price point that is a fraction of a simulator cost. The company’s GC2 is a portable system — less than 10 inches in length and four pounds in weight — that can be used indoors or outdoors. In addition to being a launch monitor, it can be used for club fitting and instruction. Plugged into a computer, the GC2 can create a simulator experience. Foresight Sports also offers the HMT Head Measurement for club head tracking and analysis, along with the GC2-T Tee Marker that is a simulation-optimized device that connects to a computer via USB. Then there is a bevy of performance tracking systems — many of which combine GPS and shot-tracking data. The Arccos Golf system, for example, features club sensors that attach to the end of a club’s grip and are paired with a free app. Through the app, a player can track distances to any point on a course and average club distances based on previous shots hit, along with the performance of each club in the bag — longest distance, fairways hit, greens in regulation. Suddenly, a player’s handicap is broken down into specific segments — driving, approach, chipping, sand and putting — using tour-like analytics. Most systems have GPS capabilities for more courses than we hope to ever play. Arccos, for example, boasts a library of more than 30,000 courses worldwide. The cost? Around $300 for 14 sensors, which includes a putter sensor. The company’s new Arccos Driver is a driver-specific sensor that in addition to tracking and analyzing drives in real-time, it also allows a golfer to compete against other Arccos users. SkyGolf’s GameTracker offers real-time short tracking, including tee shot scatter plot. Also, SkyCaddie’s Linx GT is a watch that features shot tracking and is a rangefinder. For all of the innovative advancements in this sector, there remain new frontiers to conquer, and FlightScope appears to be taking that lead. In December, the manufacturer of club, ball tracking and launch monitors partnered with FocusBand, maker of a motion-based, mind-sensing headset. The integration of FocusBand with FlightScope product will allow golfers to also compare, through the use of real-time data, their state of mind when hitting shots. “We’ve spent a lot of time mastering FlightScope technology to accurately measure a player’s physical skills, but we were interested to explore how someone’s mental state ties in to their overall game play as well,” said Henri Johnson, CEO of FlightScope. FocusBand measures the mental process for shot routines, from the time before the swing through impact, and FlightScope will track the results with 27 different swing and ball flight parameters. “For the first time we are able to measure what sports psychologists, like Dr. Bob Rotella and Dr. Gio Valiante, have been preaching for years with regard to getting into the ‘zone,’” said Howard Reisman, a distributor of FocusBand. The day of golf courses and instructors — and even sports psychologists — is not coming to an end, but technology is quickly closing the gap between reality and virtual reality.